I come from a long line of woman with a compulsion to overfeed her guests. No matter what the meal is, at some stage in preparation we will look at the mountain of food and exclaim, "there won't be enough!" Someone leaving my house hungry is my worst nightmare. Fortunately, when it comes to roast dinner the leftovers are as much a part of the enjoyment as the main meal itself. Of all the many wonderful ways to use roast dinner leftovers, potato croquettes are one of my favourites. They're a way to use up any kind of potato, be it mashed, roast, boiled or steamed. Not only that, you can use any bits of the meal to great effect, especially those veggies that you've used as a trivet for the meat, or stuffed up the chicken's bum. Chop 'em up, add them to the mix and whip up these croquettes for a tasty tea the day after your roast dinner! Rolled, rested and ready to fry. Mash the potatoes. If you’re using roast potatoes or ones boiled in their skins chop them roughly first. I tend to crush them with my hands - less washing up! Roughly chop the onion and soften it for 5 minutes in a pan with a little of the oil. Add to the mashed potatoes. Add the chicken, egg, salt and pepper (if you’re using leftover mashed potatoes with milk and/or butter, you might not need all or any of the egg) and mix well. The mixture should hold together when you form a ball with it. Put the cornflour on a plate and dust your hands with a little bit of it, too. Take golfball sized chunks of the mixture and form into stubby sausage shapes. Coat with the flour. Pop them all in the fridge for half an hour to firm up. This will help them to hold their shape when you cook them. Heat the oil over a medium heat in a frying pan. Place the croquettes in the oil and cook for a few minutes before turning. Serve when they’re browned all over. I serve mine with steamed greens and some tomato chutney, but they'd be just as good with salad or even in a (gluten free) butty. 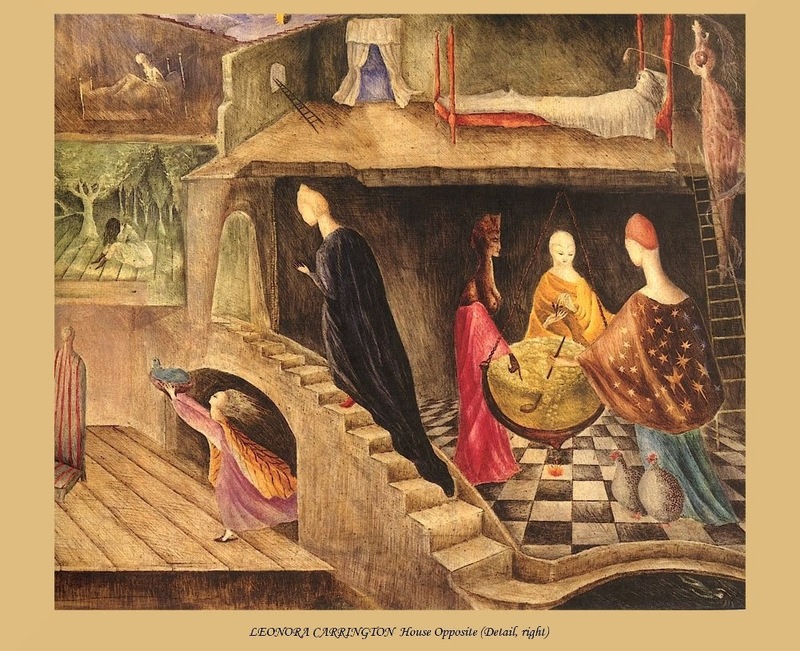 We all know the work of Frida Kahlo, but have you ever heard of Leonora Carrington? Her work was long overlooked here in her place of birth, but in Mexico where she lived for over 70 years, she was considered a national treasure. Rebellious from a young age, Leonora was expelled from two convent schools before she managed to convince her parents to let her study art in Florence. But whilst she was planning her future as a professional artist, her self-made millionaire parents were setting their sites on her improving their social status, namely through being presented to King George V at Buckingham Palace. Leonora later wrote a fantastic tale that came to her while she was at the ball, about disguising a hyena as herself, dressed in a ballgown, and sending it to the party in her place! She had no time for society and its restrictions - protesting at Ascot about women not being allowed to place their own bets. Crookery Hall where Leonora grew up. 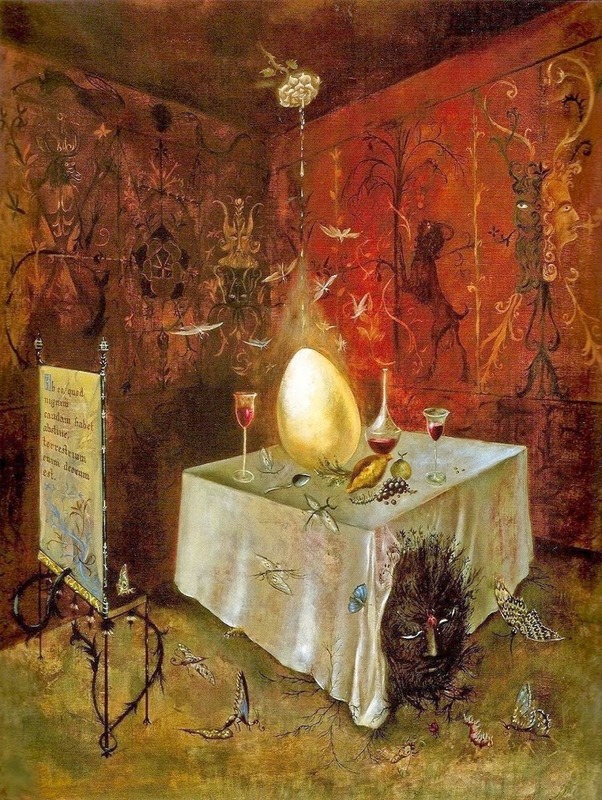 An international surrealist exhibition in London in 1936 introduced her to the work of Dali, Man Ray and Max Ernst who she met at a dinner party and promptly fell in love with. 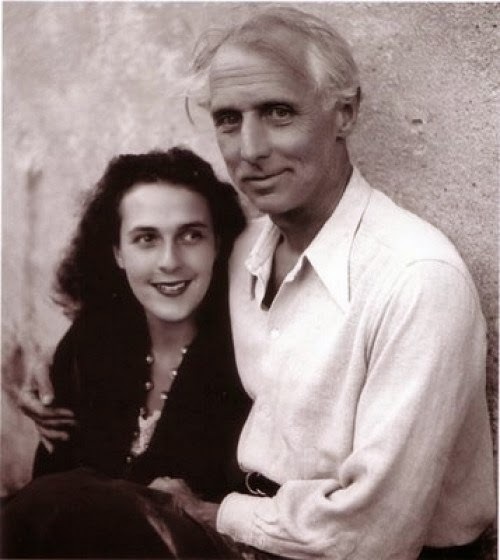 After telling her father that she was moving to Paris with a 46 year old, married surrealist painter, he told her never to darken his doorstep again, and that she would undoubtedly die penniless. 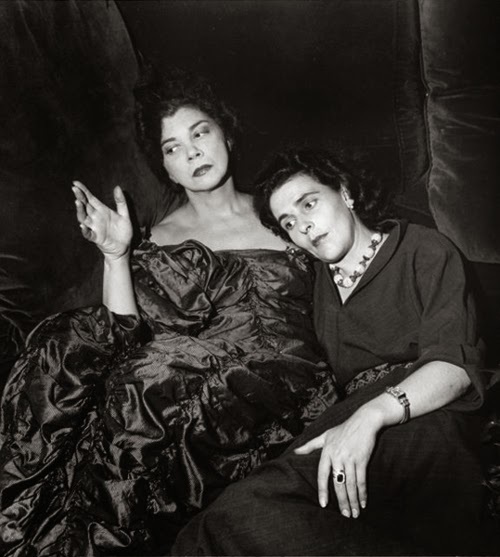 Leonora and Max mingled with a hugely influential circle of friends, including Man Ray, Lee Miller, Henry Moore and Eileen Agar, and in Paris Picasso, Dali, Joan Miro and Leonor Fini (some other really excellent women in that bunch). They enjoyed a brief period of happiness in the south of France, before the rise of the Nazi party when Ernst, as a German national, was imprisoned by the Vichy French. Leonora fled to Spain and suffered a nervous breakdown. She was admitted to a psychiatric hospital in Santander where they forced her to take the drug Cardiazol, now banned, which induced seizures and hallucinations. She later wrote about her experiences in her tale, Down Below. Her parents were worried about her being in war-torn Europe alone, so sent her childhood nanny to Europe in a submarine- as you do! But once out of hospital, she escaped both the war and her family by marrying a Mexican diplomat, Renato Leduc and moving to Mexico. 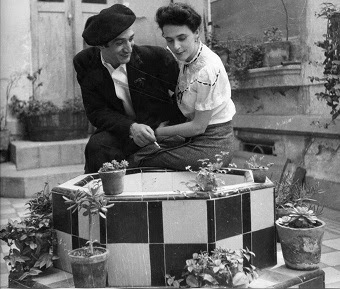 She found a happy home in Mexico, where she was friends with the likes of Frida Kahlo and Diego Rivera. She later divorced Leduc amicably and remarried, having two sons. She remained married to her second husband until his death in 2007. 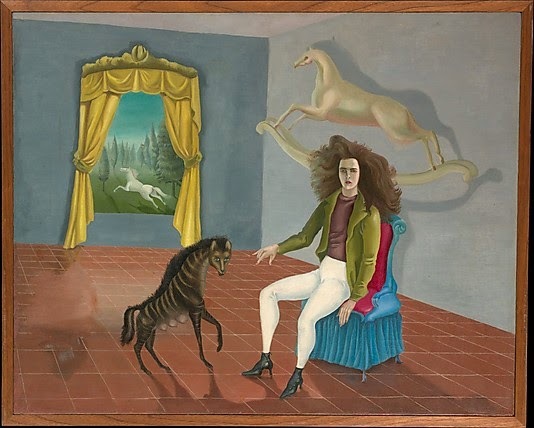 Like her contemporary Frida Kahlo, Leonora's work featured many animals, both real and legendary. 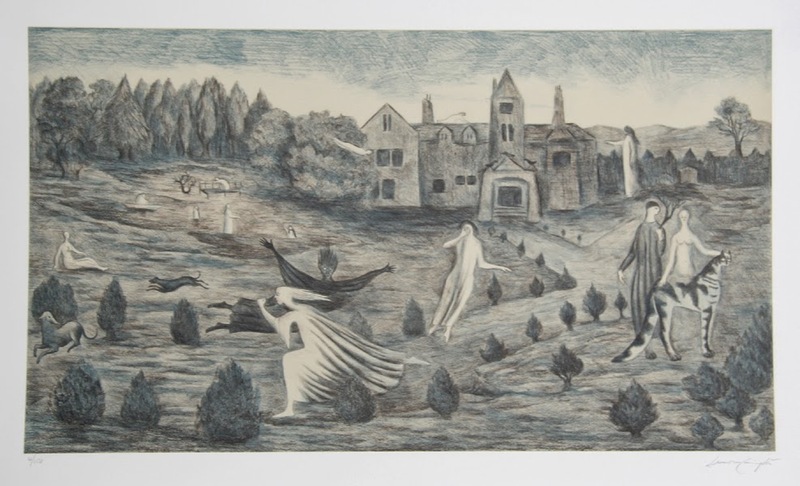 Leonora's artwork, now considered an important influence on the surrealist movement, features complicated narratives and figurative dreamscapes, often inspired by her interest in mythology and fairytales (told to her by her nanny as a child) and also alchemy and the occult. 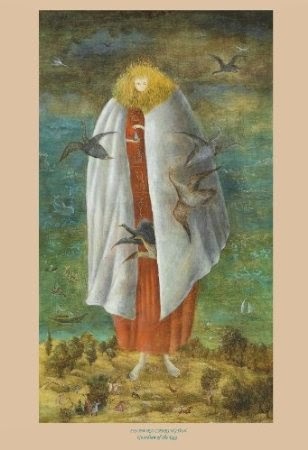 However she objected to the 'over-intellectualisation' of her art, resisting all attempts to 'explain' her work- she believed the meaning of her paintings was in the eye and mind of the beholder. Rather than dying penniless in a garret, Leonora died aged 94, hugely celebrated in her adopted home of Mexico - in 2008 the main street in Mexico City hosted a seven-month homage to her work. Her canvases now go for millions and her self portrait hangs in the Metropolitan Museum of Art in New York. Which just goes to show, your parents don't always know best. Are you feeling lucky? 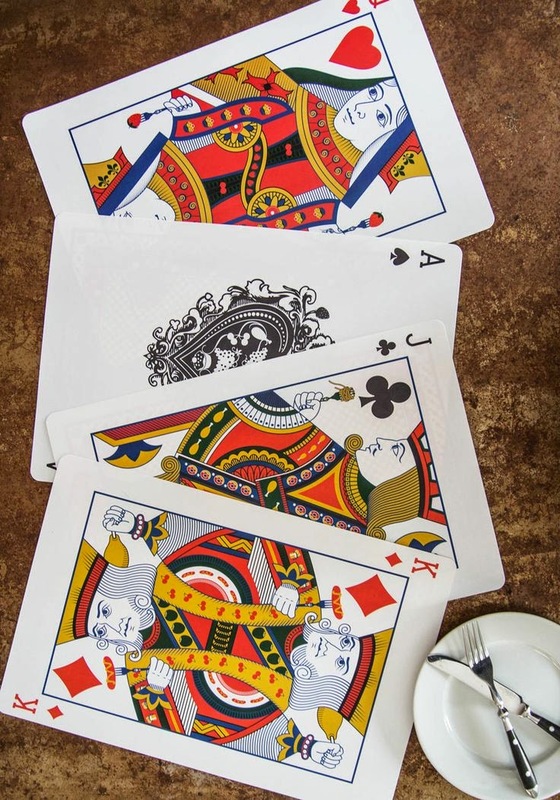 Designers are encouraging us to take a bit of a gamble at the moment, dealing us fashion and homewares that are based around a deck of cards. It's Alice in Wonderland goes to Vegas which - obviously - is wonderful. Coco Fennell's latest collection includes this Play your cards right dress, almost guaranteed to make you the Queen of Hearts, while cards also deck her new Casino dress. 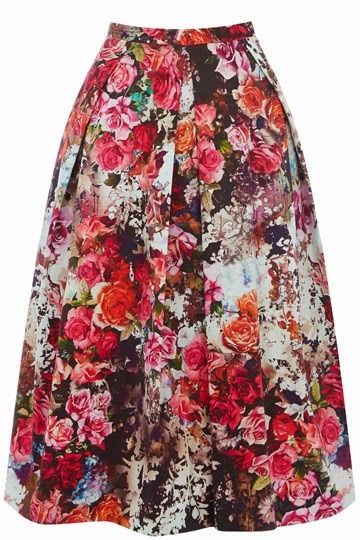 If you are able to go higher, higher with your prices, take a look at Peter Jensen's cute circle skirt in card print. 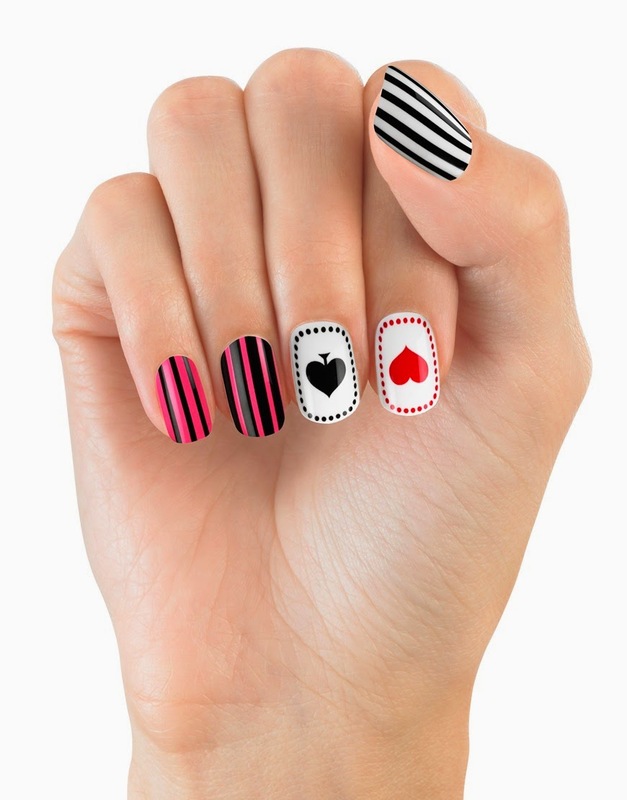 For an easy way to wear your heart, and your spade, on your finger, ASOS are selling this Alice collection press-on manicure set for £9. 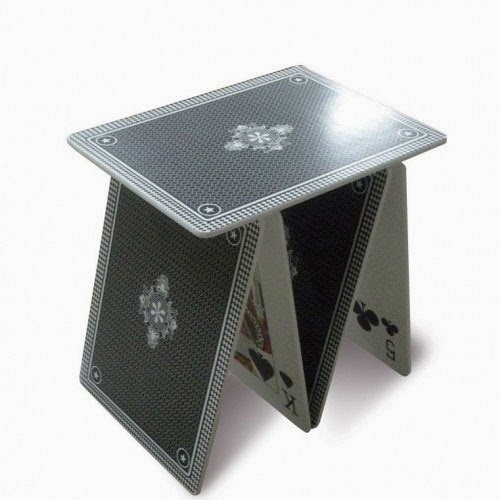 Possibly the simplest way to get the look is on the homewares in stock at Urban Outfitters, based on that traditional deck of cards we all probably used to refine our Shithead Poker technique. 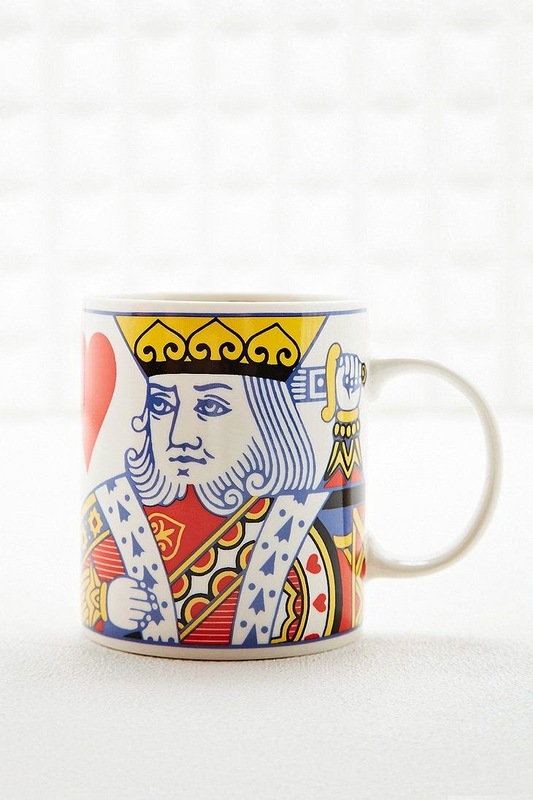 This King of Hearts mug is £12. There's an accompanying tea towel too. 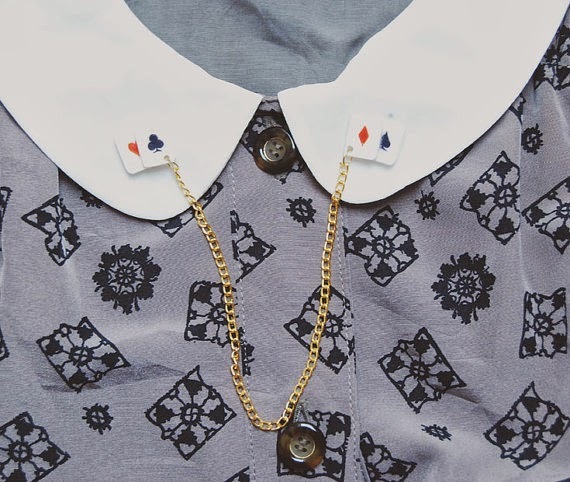 This trend can be cute as well as in your face, with something such as this Playing cards collar clip sold by Kirstin Stride on Etsy for £20. 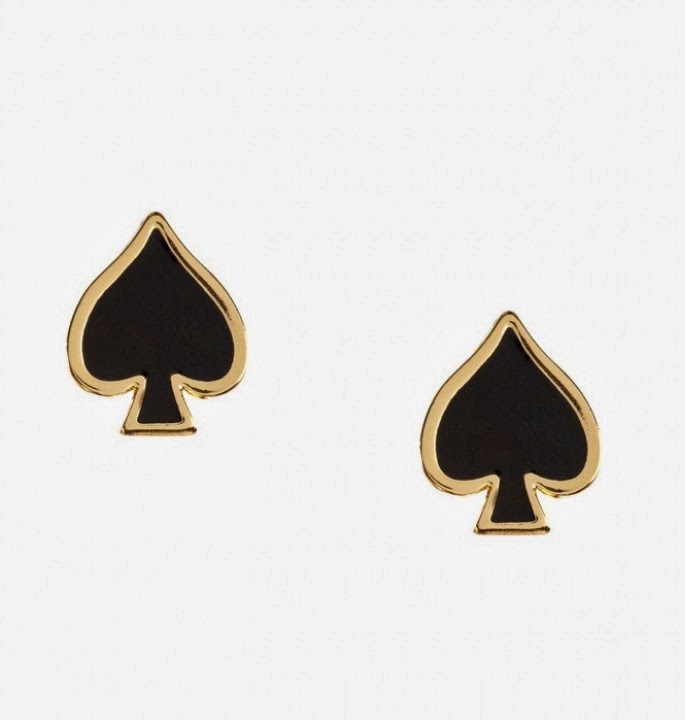 Or the stylish simplicity of these Louche spade earrings, £6 from Joy. For all four suits, pick up the Forever 21 pastel stud set for only £3.15. 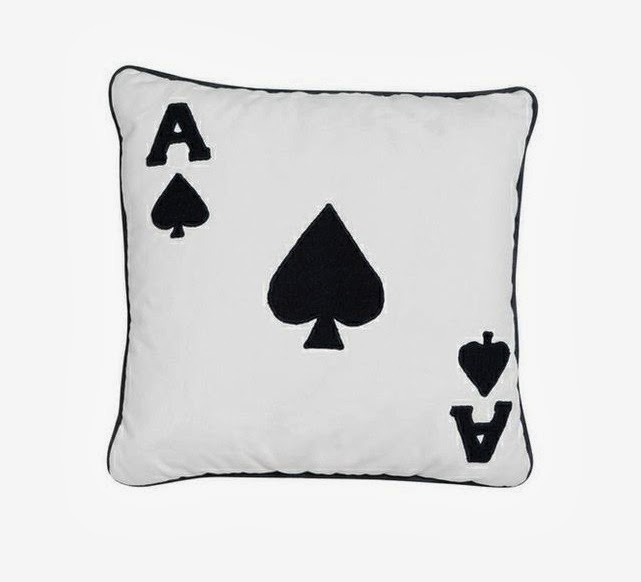 Win some, lose some: this Ace of Spades cushion is all win. 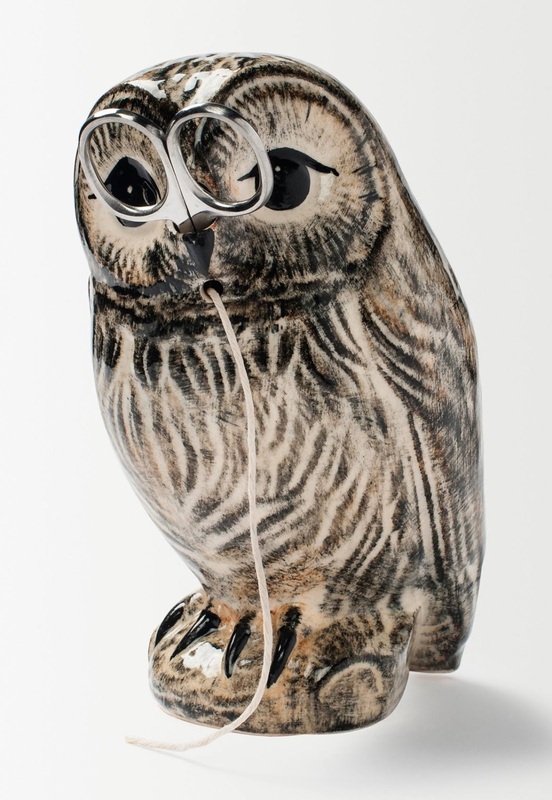 It's designed by Melissa Wyndham and made and sold through Fine Cell Work for £50. 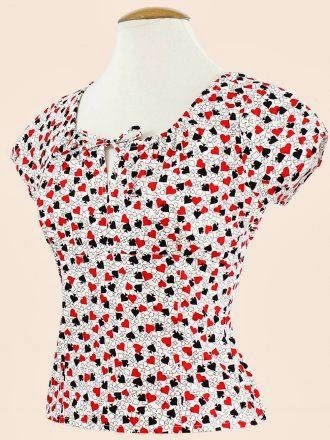 The playing card suits are used as a fab alternative to polka dots or florals on this Rio playing card top by Vivien of Holloway. It works so well they've used it on everything from halter necks to gypsy tops. This top is £35. Meal times could become a whole load more fun with these Decked Out table mats. 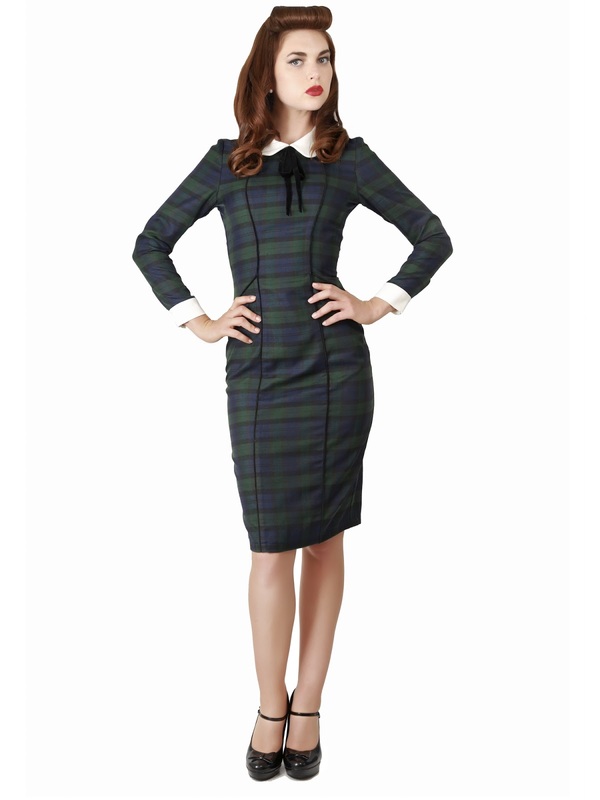 They come from Modcloth and cost around £20 including shipping. 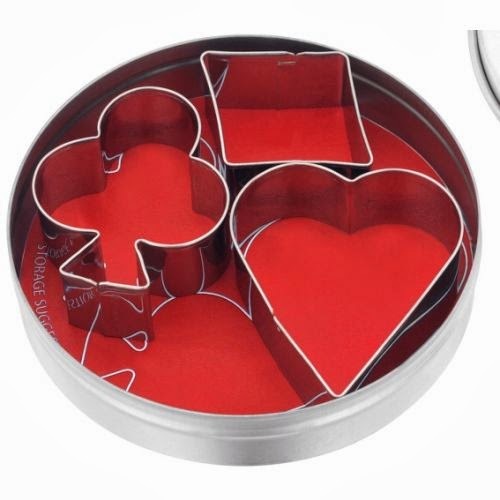 Though if you do like playing with your food, you could do far worse than playing with these Playing card cookie cutters. They're £3.69 from Legend Cookshops. I've featured this playing card table from Seletti before, but it's worthy of inclusion here, as it definitely trumps all other card tables. 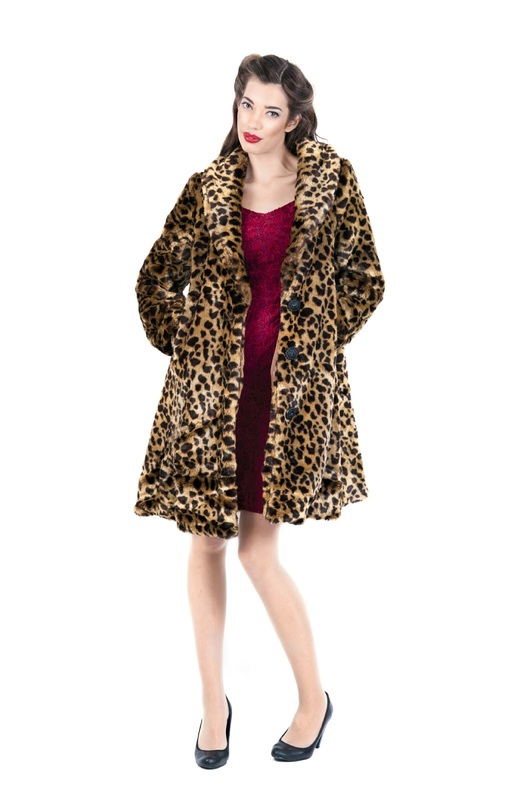 It's £145. There's hundreds of unique decks of cards you can buy too. I'm rather fond of my Elvis deck which I brought all the way back from Graceland, though you can buy exactly the same set (and many more) for £5.25 from Cards4Magic. 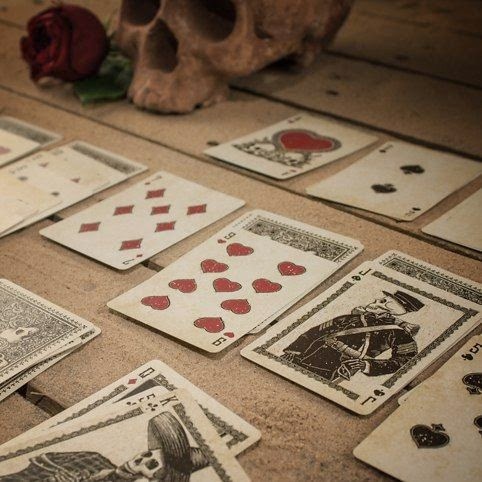 These Day of the Dead playing cards are rather wonderful too. Order yourself a set for £12.99 from Firebox. But my favourite kind of card has to be something like this one Tris Tolliday on Etsy. 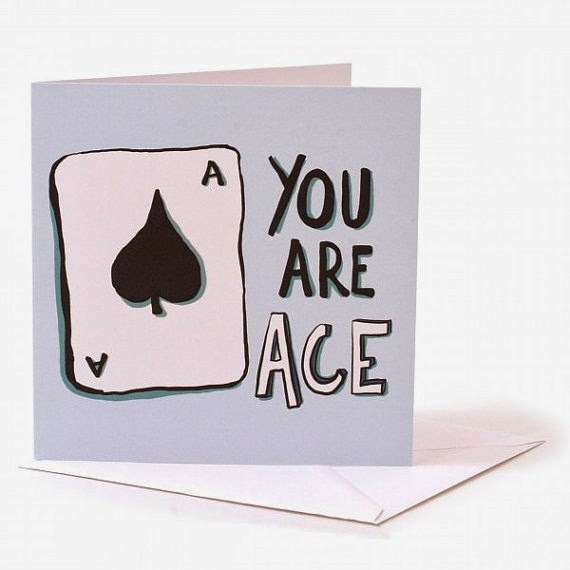 Yes, you are ace indeed. Before I proceed - and to save disappointment - you should know that none of these subscriptions include actual cats, dogs, or any kind of living animal, which I agree is a shame. 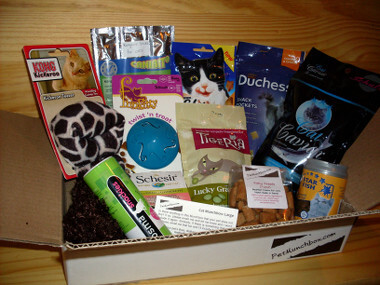 I'll work on a monthly kitten box idea and take it to Dragons' Den, shall I? These boxes are, however, crammed full of treats and toys for your favourite pet, which I guarantee will make you extremely popular for at least three minutes. Who could ask for more, really? First up, and so new it hasn't even launched yet, is Cat Hampurr. 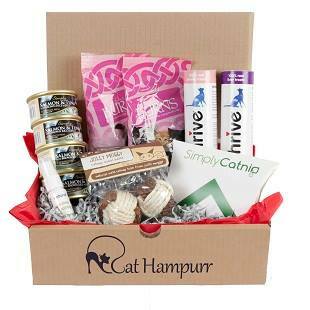 I applaud them for their confident use of the Laura-esque word 'hampurr', and also for this lovely and affordable monthly box of feline-friendly goodies. You can sign up for a one-off box at £15.95, or a monthly one at £11.95, with the option to stop at any time. Each box contains 4-6 cat things - a mixture of food, toys, and health or grooming stuff. Get your name down on the mailing list now in time for the April 11th grand opening. Oh, Maru. What a boy. Dogs now, and Pooch Pack. 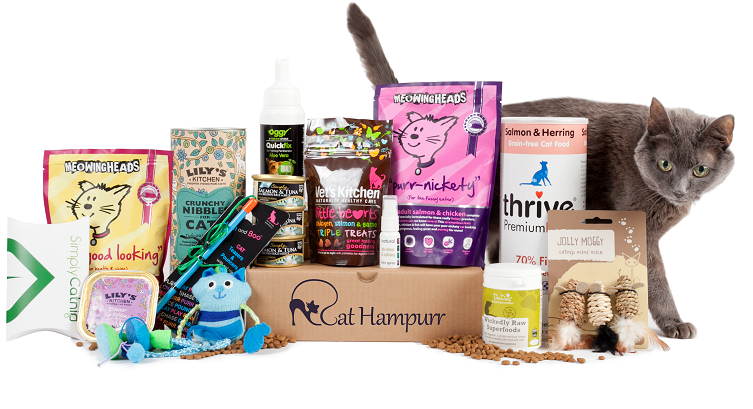 Similar to the Cat Hampurr but for, uh, dogs of course, you can choose a cancel-at-any-time monthly box for £19.95; a 3-month sub for £18.95 a month; or commit to 6 months at £16.95 a month, saving yourself over 15%. 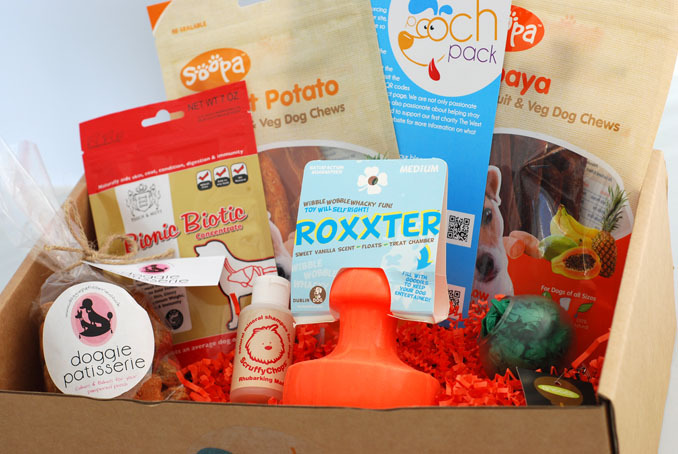 The contents of the box (4-6 items per month) are tailored to your dog's size, age, and breed - you give all that info when you sign up - and you'll always receive stuff that totals more than the subscription price. I am interested in the doggie patisserie pictured above. FOR MYSELF. Prices for Fings for Fido's monthly parcels start at £23.99, but what I like most about this company is their one-off boxes for new pups, adopted dogs, and birthday boys and girls. They're thoughtfully put together - teething aids for puppies; a new bowl and comfort toys for adoptees; and a BIRTHDAY CAKE, card, and wrapping paper for your pooch's big day. Another great thing about Fings for Fido: every box includes a dog magazine (you've totally looked at these in the supermarket before, don't lie), so humans benefit too. Last but by no means least, let's have a look at Pet Munchbox - responsible for making me cry earlier. Founder and personal munchbox shopper Mollie just seems like the kindest person - she tailors every box to your cat, dog or small pet's needs and preferences. The bit that made me cry was the case studies page, where you can read about the time and thought that goes into making each box. Old girl Willow doesn't have many teeth, and beef and duck make her ill, so she gets plenty of soft, fishy treats. Dudley likes jangly bells. Yogi and Boo like playing with balls and they don't like rawhide... you get it, don't you? You can be REALLY specific and Mollie will listen and send out something fabulous for your pets every month. Choose between small, medium and large boxes for cats and dogs, or even opt for a seasonal hamper for pets (including rabbits and guinea pigs!). Prices start at £10.99. 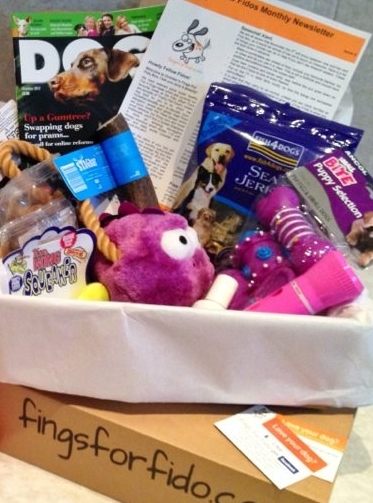 Will your pet be getting a surprise in the post next month? 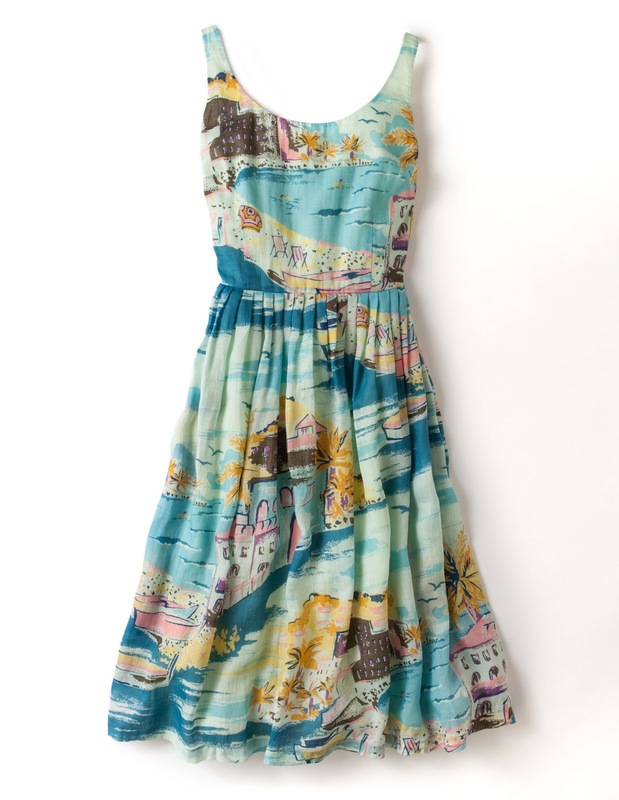 The perfect dress. £160 from Jaegar at ASOS. 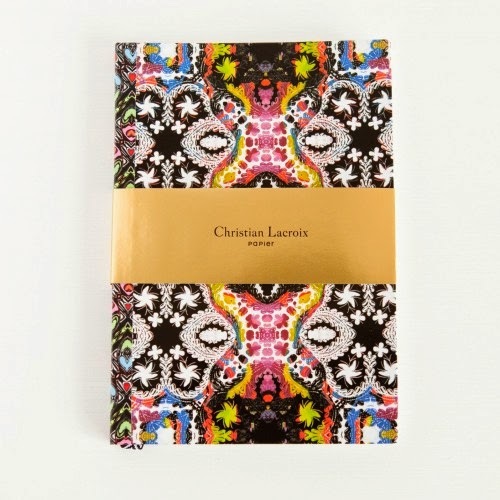 The perfect notebook. £15.95 from Quill London. 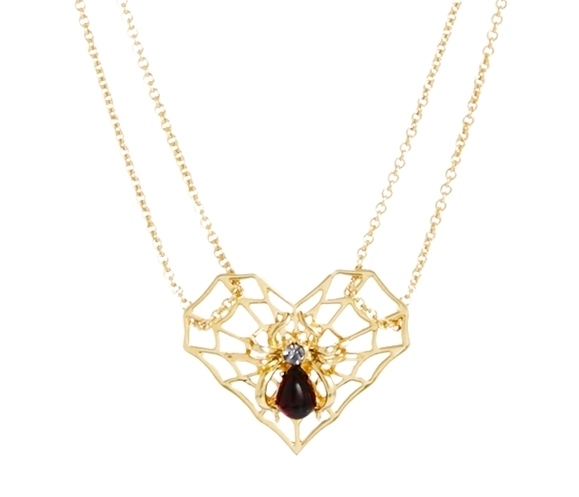 The perfect necklace. £432 from Bex Rox. 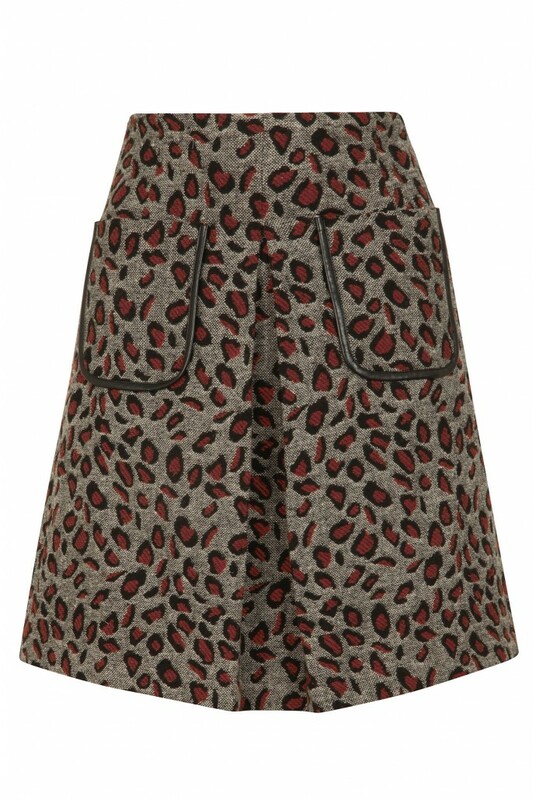 The perfect skirt. £55 from Oasis. 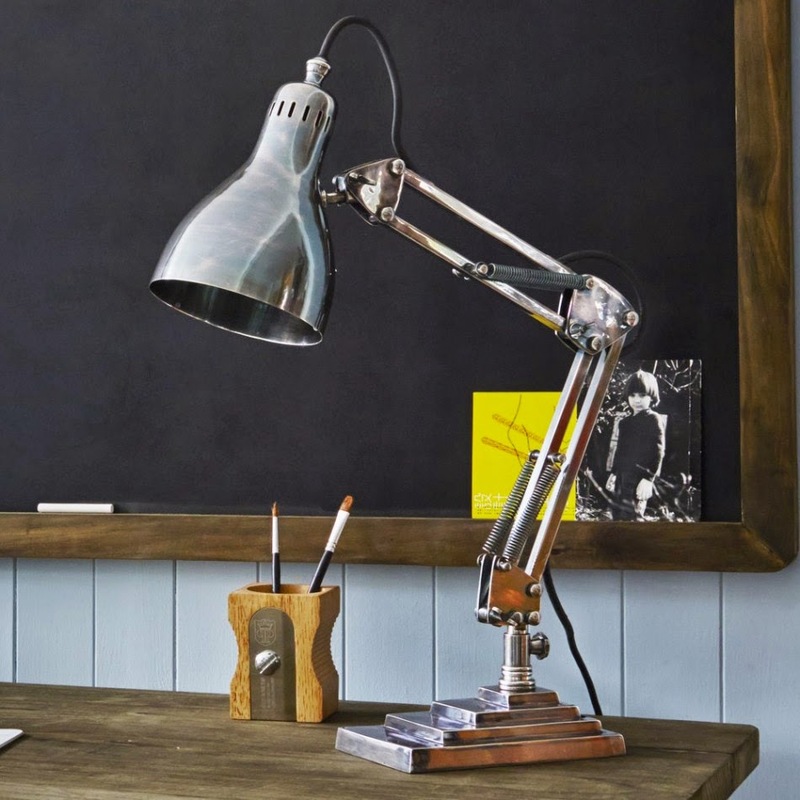 The perfect desk lamp. £305 from Graham & Green. 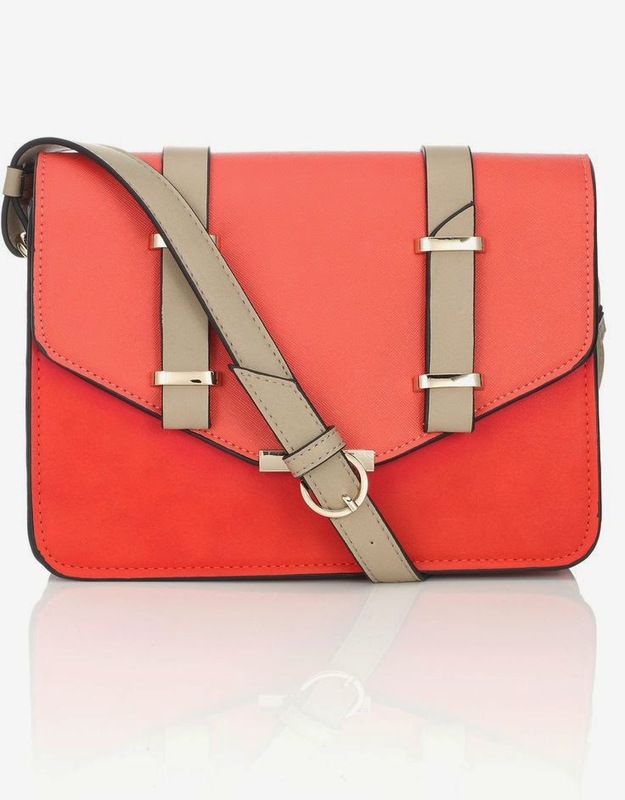 The perfect satchel. 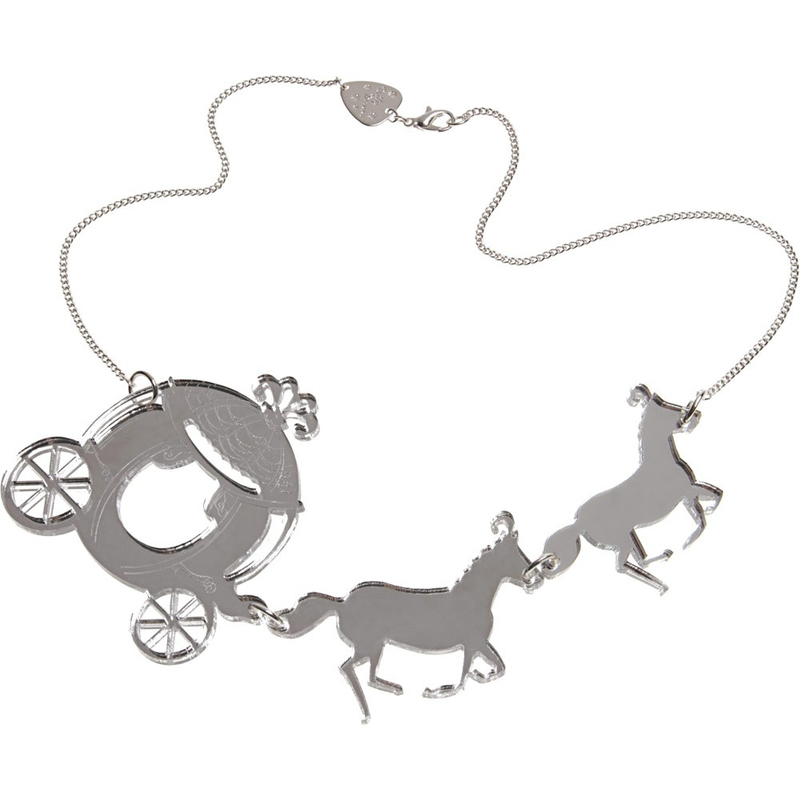 £29 from Accessorize. The perfect yellow sandals. £85 from Kurt Geiger. Whilst raiding the depths of a friend's booze cupboard the other day, we came across some Cherry B. Cherry B! Who remembers that? Seriously, what is it? Who knows, but it's cherry-ish and boozy which is good enough for me. However, being lumbered with a few bottles, I started thinking what could be done to turn its dubious charms into something delicious. Cue! White chocolate and cherry. You can't go wrong. These cute little beasts will provide a suitable use for any dodgy cherry flavoured liqueurs you might have hanging around. Left over cherries? Make our gluten-free roulade to go alongside them. Everyone's a winner! Plus, they're super-easy to whip up for a special Mother's Day treat. Place the cherries, syrup and water in a small saucepan and simmer over a medium heat for around 10 minutes until reduced and sticky. Set aside to cool. Preheat the oven to 180C/350F/Gas Mark 4. Lightly grease paper cupcake cases and place in a cupcake tin. Beat the eggs in one at a time, with a teaspoonful of flour to stop the mixture from splitting. Sift the flour into the mixture gradually, folding in gently with a metal spoon. Stir in the white chocolate and the milk. Swirl half of the syrup mixture through the batter, retaining the rest for later. Mix together the cream cheese and icing sugar in a bowl; you might want to add a little more sugar to taste. When the cupcakes are completely cool, take a sharp knife and cut a small inverted cone shape out of the top of the cake. Fill a piping bag with the cream cheese and pipe into the cupcakes, swirling on top in a circle. 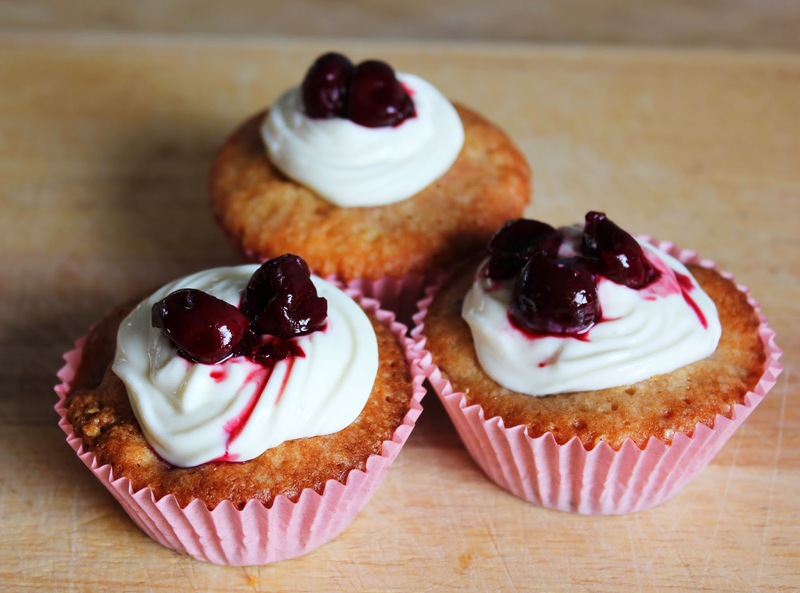 Drizzle with syrupy cherries and any leftover white chocolate. 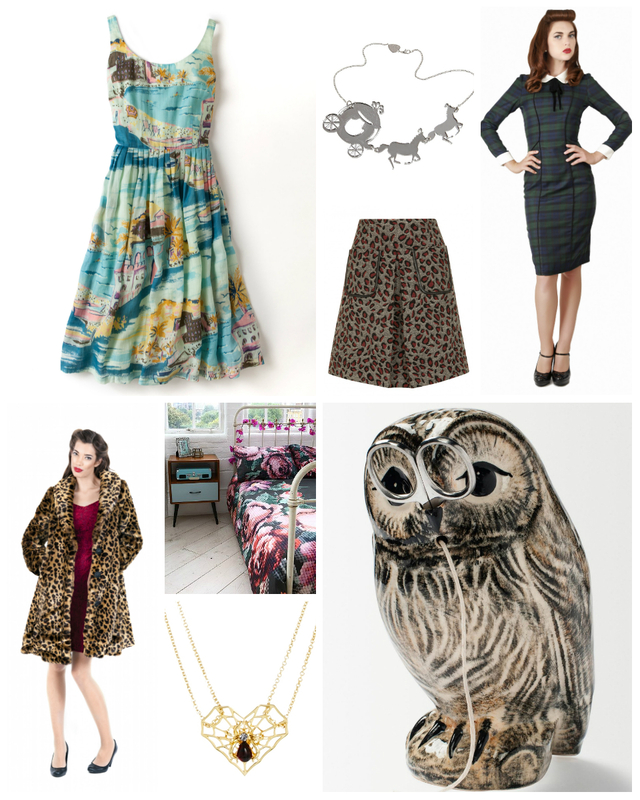 Last month I wrote about brilliant independent clothing brands in the UK and this month I'm all about the shoes (mix and match them together and you'll feel very happy indeed). It's much harder to buy indie shoe brands - choice is often small and prices often a lot higher than the high street. But that means the UK's shoe brands that are doing it right are rather splendid indeed. Oh Kat, how you make me nearly wish I hadn't spent all of my money on whisky cocktails at the weekend. Her shoes are bold and fun and always a surprise. The prints and designs are in all different heel heights which make me happy (sizes up to an 8). Prices start at £105 and sometimes get to half that in the sale. Nice website too. 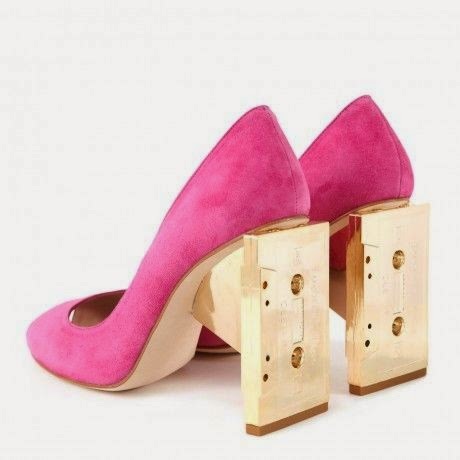 Yes I want gold mix tape heels on my shoes. 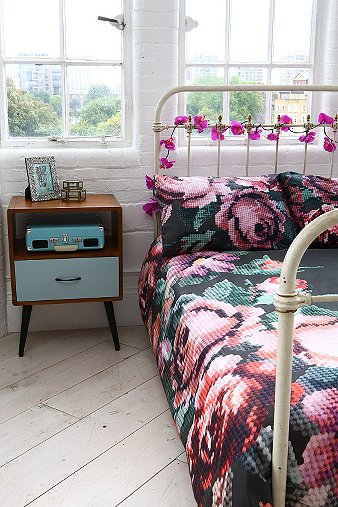 Cleo B are all about bright colours and 80s vibes and I'm more than OK with that. Prices for flats start at £140, size go up to an 8. These pink mix tape heels are out of my price range at £360 and I'm going to be crying about it for ages. I know Kate Kanzier does shoes other than brogues but I don't care. At £25 a pair I am aaaaaall about the classic brogues in any colour I can get my hands on. I am wearing some as I type this. They only go up to a size 7, though. 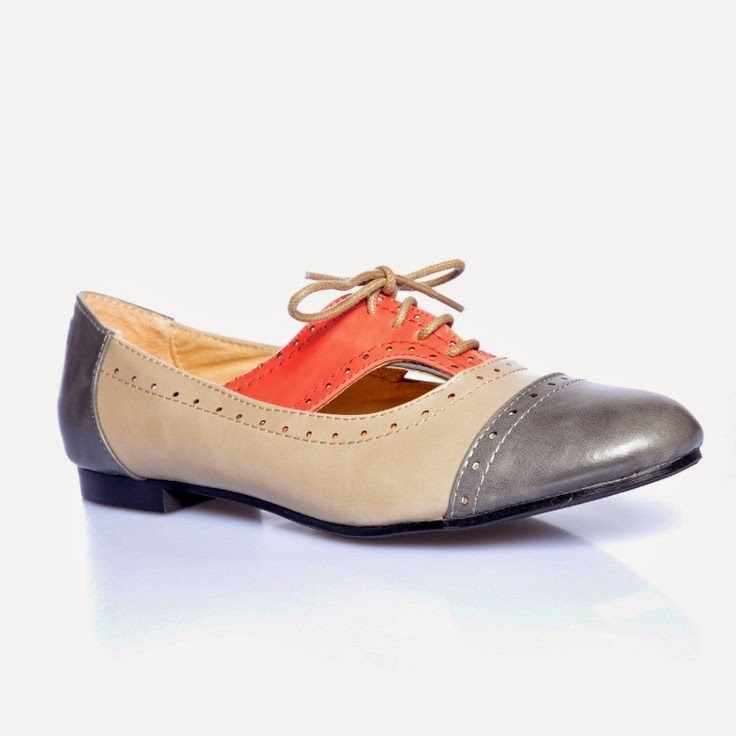 If you go to Kate Kanzier for brogues, you go to French Sole for ballet flats. I live in flats, but buying them from the high street can mean paper thin heels that are next to useless and they fall apart in seconds. If you were flats more then three times a week, think about investing in some of these. They're usually £150 and go up to a size 9. 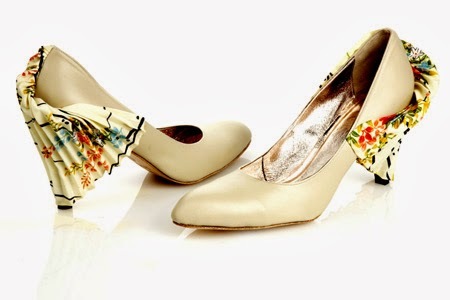 Hetty Rose makes handmade shoes from traditional kimono fabrics and they could not be more beautiful. Since they're bespoke they're not at all cheap and the price is pretty much down to you, but they start at £450 and take a month to make in whatever size you want. All heels should look this beautiful. Kat simply wouldn't forgive an omission of DUO and rightly so. Their classic leather shoes go up to a size 10 in some cases and perhaps more importantly, they come in three different width fittings. And you know what? They're kind of lush. I'm smitten over these teal sandals. Prices start around £75. 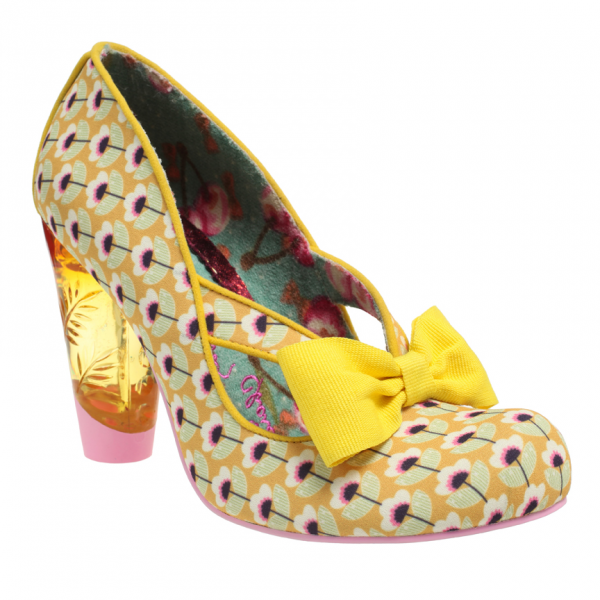 It's not really a secret that I'm not a huge Irregular Choice fan. Their shoes are so busy and a little 'too much' for me. But you guys (and half of team Sluttery) love them and who am I to quibble? Prices for the slightly odd shoes start at £64.99 and they go up to an 8. I'm not sure why Frances has been keeping Portamento secret but she only told me about them yesterday afternoon and now I've mentally bought all of their shoes. They're high quality leather, quirky classics. Prices start at around £100 and sizes go up to an 8. I tend to look at F-Troupe's shoes and think I wouldn't ever wear them. And then I see them with an outfit and they're perfect. One minute I'm all 'jazz shoes and bows? Not for me, thank you very much' and then the next I'm doing a Singin' in the Rain dance down the street. F-Troupe are the wildcard in this bunch and I love them for it. Prices start at £125, sizes stop at a 7. 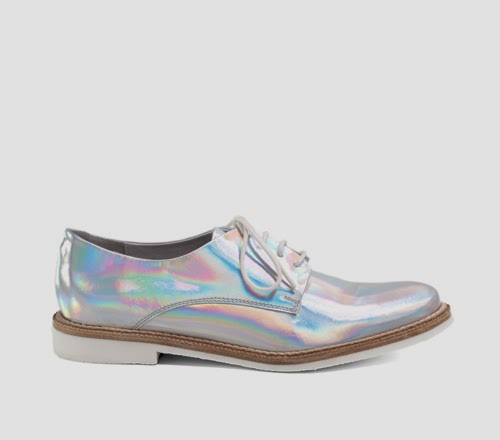 People instantly recognise Miista's hologram brogues and they're almost always sold out. 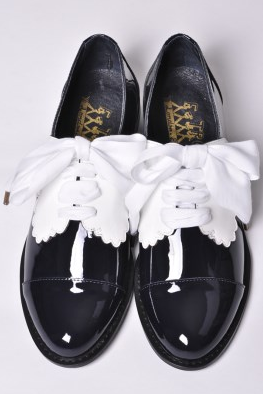 I can't help feel that those gorgeous shoes tend to take the attention from the rest of Laura Villasenin's range, which I love. 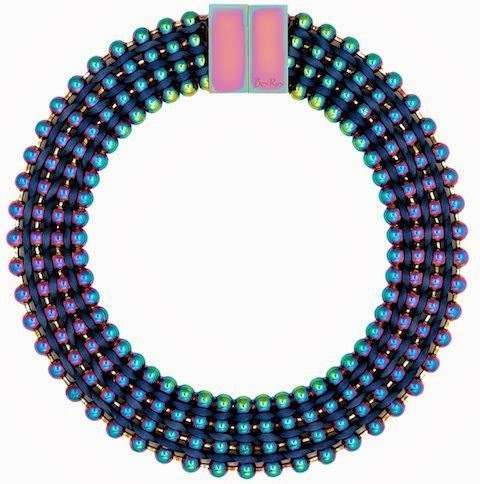 At the moment it's all shiny pastels and spring brights. Like you might be going on holiday to some quirky European destination. Prices start at £150. Want even more shoe-shaped goodness (hi Cinderella, thanks for stopping by)? Read our petite shoe guide for sizes 13-3 and our large shoe guide for sizes 9-13. 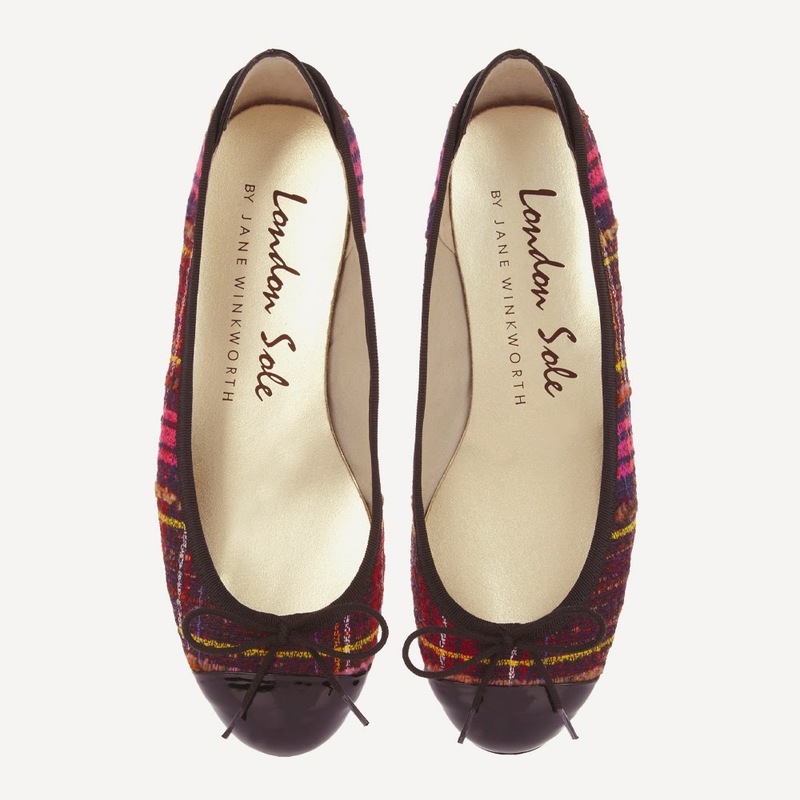 Got a favourite independent shoe brand that we haven't included? Tell us in the comments so our feet can look fabulous every day of the year.